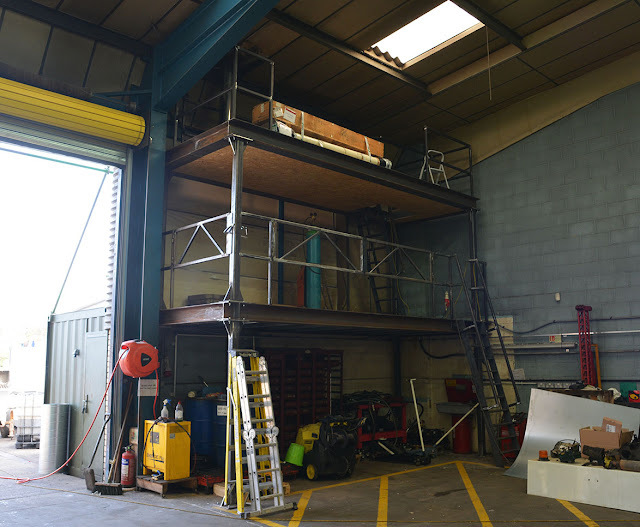 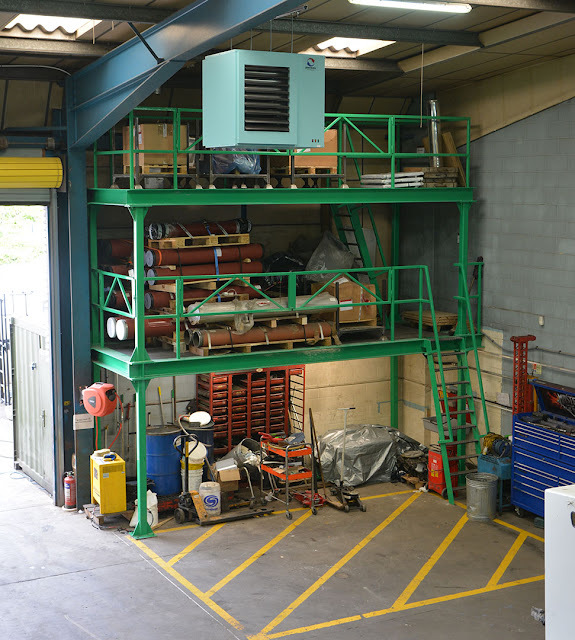 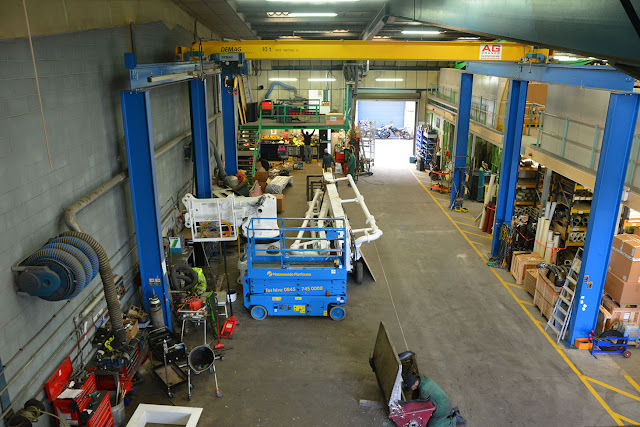 Such was the success of our new workshop mezzanine floor last year (and the new floor space over the new reception area) that we decided to add a double version at the other end of the workshop! Once again the lads rose to the task and had the thing built and stocked in less than a month. The view's not too bad from up there either!